that can meet the needs of its customers. 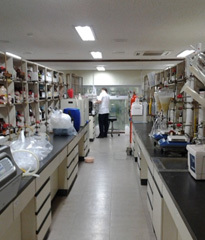 Chemtros possesses ample technologies and experiences in organic synthesis and combination technology and focuses every research capability in order to improve function and performance of products through constant innovation of technology. Our research team is continuously advancing in its competence through technological breakthroughs. As a key capability organization of Chemtros which realizes value through products and technologies, it makes constant efforts. 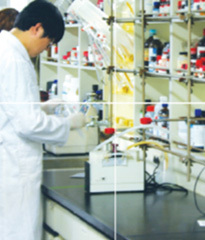 Chemtros research institute is consisted of professional researchers with a long career and experience. It actively utilizes research network with professional institutions and constantly communicate with customers in order to provide a better service. 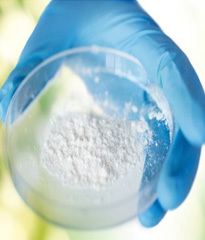 The ultimate goal of R&D for Chemtros is to provide innovative solutions to customers’ requests. 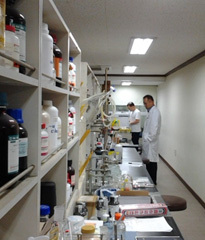 Researchers of Chemtros work hard closely with customers in order to achieve a successful result. Finding cost effective solutions is the most essential issue in developing a new material. Chemtros finds and suggests effective solutions to customers who are looking for a way to reduce time and cost in terms of developing materials.